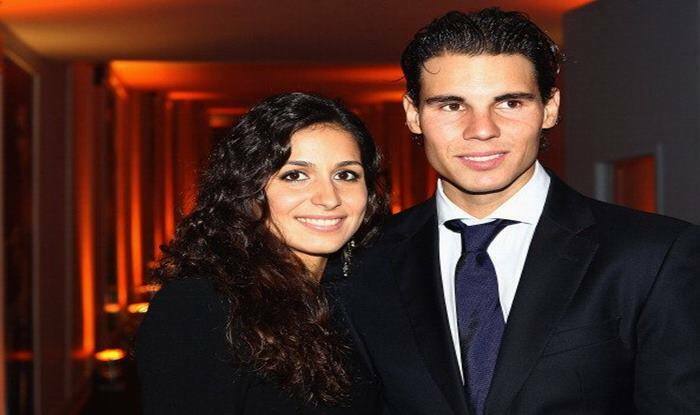 Former world number one Rafael Nadal is all set to get married to his long time girlfriend Mery Perello following the recent engagement of the couple. Former world number one Rafael Nadal is all set to get married to his longtime girlfriend Mery Perello following the recent engagement of the couple. The 32-year-old has proposed Perello for marriage and soon, the two will tie the knot. The same was confirmed by the ATP in a recent tweet. The Spaniard recently appeared in the Australian Open where he was defeated by world number one Novak Djokovic in the final match of the Grand Slam event. Nadal has won a total of 17 Major titles and has been a runner up in eight Grand Slam events. Famously known as the ‘king of clay’, he has bagged a total of 11 French Open titles, highest by anyone in the history of tennis. The pair have been together for 14 years, with Mery — who has a degree in business — currently working at the Rafael Nadal Tennis Academy in Mallorca. She was in Nadal’s team box at the Australian Open, only the second time she has supported him Down Under with the couple reportedly preferring to not travel together to every tournament. Nadal’s defeat to Djokovic means the Spaniard remains second on the grand slam all-time list with 17, three behind Roger Federer. In October, Nadal’s mind was as far away from tennis as is possible. Flash floods struck his home island of Mallorca, killing 13 people, including the cousin of one of his best friends and her young son. Nadal helped out in the relief efforts following the floods, which mainly affected the town of Sant Llorenç des Cardas, just six kilometers from where his academy is based.